When you have the perfect home there’s no where else you’d rather be. Lellbach Builders has one mission, to help you turn your house into Home. Home is where you build your family’s foundation. A safe haven from the stresses and bumps of your daily life. Home is the place that surrounds you in comfort, peace and security. For some Home means a kitchen designed to spark conversation. A bathroom with just the right convenience, or the basement morphed into the perfect escape – a respite for relaxation. Your home is the place to build memories with those that matter most. No matter what size the project, through high quality craftsmanship coupled with expert design services, Lellbach Builders can help you build your roots and turn your house into Home. 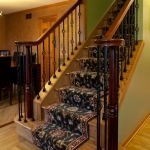 Lellbach Builders is based in Naperville and provides remodeling services to the surrounding areas including Wheaton, Glen Ellyn, Aurora, and Lisle as well as other communities.